People were drawn to “Gunpowder Springs,” as it was originally known, for camping and the curative sulfur water springs as early as the 1840s. Rufus Roberts built the first hotel here in the 1870s or ‘80s. This original building had a capacity for 150 guests but burned around the early part of the 20th century. A second building was constructed around 1905 or 1906 with 3-4 floors, up to 165 rooms, and accommodation for 300-400 guests. Additions around this time included a lattice building over the springs, a dance pavilion with a bowling alley underneath, and a laurel root summerhouse, similar to the one still standing at the Moore House in Mount Airy. 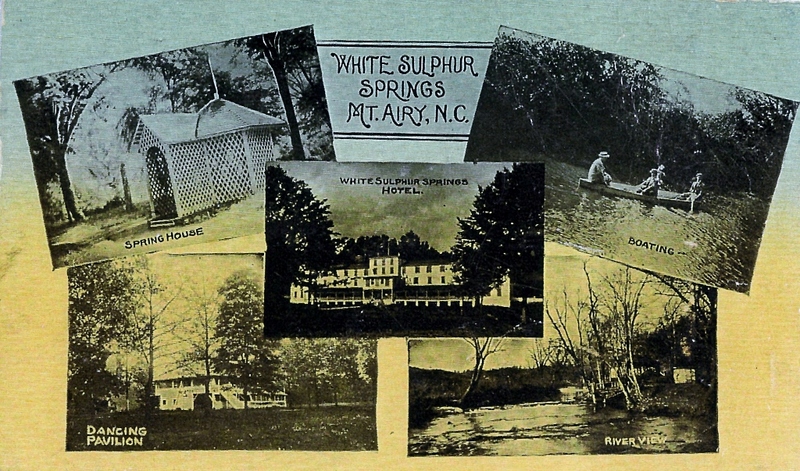 The spring’s waters were advertised to be good “for kidney and liver troubles and humors of the blood.” Located next to the Ararat River, the hotel offered boating, horse racing, tennis, croquet, and other recreational activities. 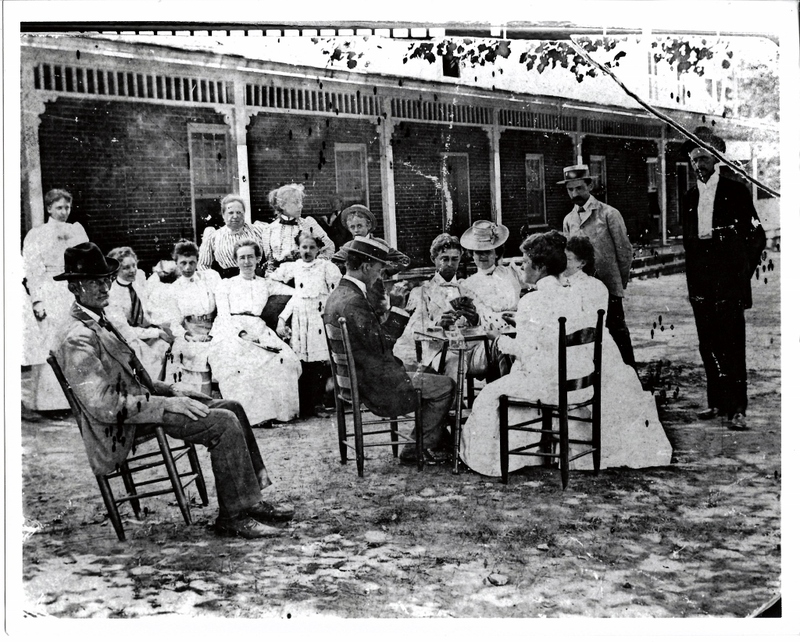 At one point, it was one of the most popular summer resorts in the state. With rising competition in the 1920s and the economic problems of the 1930s, however, the popularity of the resort declined, and the hotel closed and was sporadically renovated and reopened during these decades. By the 1950s, the main building was used as a huge poultry house, where around 28,500 chickens died when the hotel caught fire and burned to the ground in 1955. The sulfur springs at the site are covered by an enclosure and are still accessible to the public.